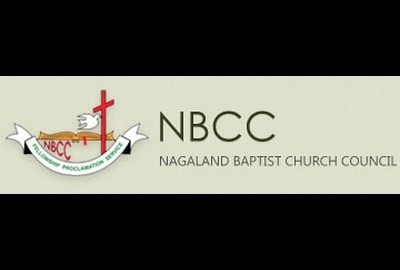 Nagaland Baptist Church Council (NBCC) has taken a resolution to propagate ‘Clean Elections’. The resolution was adopted by the NBCC during its 82nd Annual Council held from February 1 to 3 at NBCC convention centre in Kohima under the theme ‘Knitted Together in Christ’. The resolution has been taken to fight against any form of ‘corruption to fearfully avoid the wrath of God in the land’, particularly pertaining to the ensuing Lok Sabha elections. This was among the six-point resolutions adopted by the NBCC, comprising of 20 associations and four associate members, during annual council. The NBCC disclosed this in a statement issued to the media on Monday. It further resolved to reinforce the ‘Great Commission of Jesus” (Matthew 28:18-20) and enlarge the mission of the Church to disseminate and plant the seed of the gospel within its neighborhood and town. Further, NBCC resolved to cooperate with the state government in all their policies for the welfare of the people. However, the council stated that any programmes/plans implemented at the cost of compromising Christian faith and Biblical values will not be entertained. While acknowledging the importance of providing opportunities to publicize Naga culture, the NBCC said it will take responsibility to ‘edify the members to embrace the teaching of Jesus and live out Biblical culture, the release added.